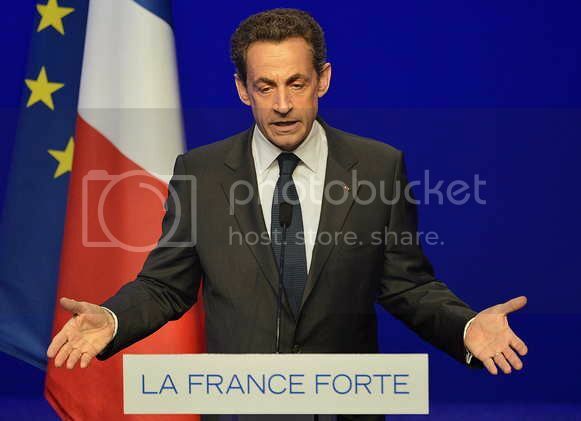 Wow: French President Nicolas Sarkozy Conceded To Challenger Francois Hollande. This means France will be ran by a Socialist President, and his name is Francois Hollande. This election is a very big deal in our World, because, in a way, it points to what is the first major victory for people in Europe who have waged protests against austerity policies in the European Union. In America, Sarkozy would be considered nuts. Indeed, the election’s big surprise was the spectacular surge of Jean-Luc Melenchon’s Front de Gauche (Leftist Front), a coalition of parties to the left of the traditional social-democratic PS (Socialist Party). With an Occupy-friendly platform, the Front went from virtual non-existence to a double-digit finish in the election’s first round, gathering crowds beyond President Nicolas Sarkozy’s wildest dreams throughout the campaign. And while the Front de Gauche did not win the election, it can be argued that it helped pushed the French agenda to the left, and away from the right-center Sarkozy. The Sarkozy loss can only be looked at as bad news for GOP Presidential Candidate Mitt Romney, and good news for U.S. President Barack Obama. First, because like Sarkozy, Romney, for all of his acts as a ultra-right wing guy, is really right-center. Second, like Sarkozy, Romney’s style, while not “vulgar” as Jeanne Kay described the French President, is not liked, either. Be the first to comment on "French President Sarkozy Loss To Francois Hollande Victory For Occupy Movement, Obama"